Blatman Health and Wellness Center is proud to announce our participation in Ohio’s medical marijuana program, which began on September 8th, 2017. Our wellness clinic has been specializing in the holistic management of chronic pain and other disorders since 1988. Medical marijuana has been a welcome addition to our diverse array of treatment options for our patients. Our practitioner, Dr. Blatman, is currently certified as a medical marijuana recommending doctor. Further information will be available as the Ohio program becomes more active. Because marijuana currently remains a Schedule 1 substance illegal under federal law, doctors cannot technically prescribe marijuana. Instead, what an approved medical marijuana doctor can do is make a recommendation that allows you to use it medicinally under state law. You will need to register with the State Board of Pharmacy and have a Medical Marijuana Card. After your office visit and qualification, your credentials will be put in the Ohio database, and the state will send an email allowing you to pay money and register. Then your card will be emailed to you. This card will expire after one year, and it will need to be re-validated every 3 months by the doctor after your office visit to maintain access to the dispensaries. Currently, no doctor can prescribe marijuana. Only approved doctors in the state of Ohio can recommend medical marijuana. Only Ohio certified doctors can authorize the card that allows access to dispensaries where these products can be purchased. 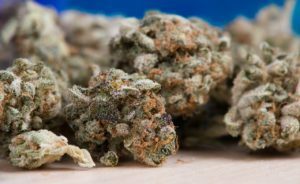 At this time, there are a few dispensaries that are open in the state of Ohio. Right now, the nearest to Cincinnati is three hours away. Certified Cincinnati medical marijuana doctors and physicians across Ohio can recommend marijuana to patients who have a qualifying medical condition. Eligible conditions include chronic pain, cancer, spinal disease, and more. It’s important to note that cannabis doctors do not actually prescribe cannabis. If you qualify, you’ll receive a recommendation that you can then use to obtain a license. You can use your license to purchase medical marijuana from a registered dispensary. If you’re experiencing pain now – don’t wait for a medical marijuana card to become available. An Ohio doctor approved to recommend medical marijuana will need to diagnose you with one of the above conditions, or agree with the medical records of your specialist who has diagnosed you previously in order for you to qualify. When Ohio’s Medical Marijuana Program becomes active, we’re proud to announce we will be one of the few medical cannabis clinics open to the public. Dr. Blatman has been approved as one of 222 doctors in Ohio as of August 2018 that will be able to recommend marijuana medicinally. In order to receive a medical marijuana license, you’ll need to receive a recommendation from a certified clinic. Once you receive your recommendation, you can apply for a license. Your license will last one year and will allow you to purchase medical cannabis from a dispensary. Medical cannabis available in Ohio includes topical patches, CBD oil, raw herb, edibles, and more. Smoking cannabis remains against the law. Medical ingestion will have to be technically done through alternative methods such as edible consumption, vaping, or topicals. Public consumption will also continue to be against the law. Consumption will need to take place in the privacy of your own home. Everybody gets headaches from time to time, and nobody likes them. There are over 200 types of headaches. Some are the result of dehydration, stress, a lack of sleep, or a minor cold or illness. Others can be a sign of a more serious medical condition. Primary headache disorders include tension-type headaches and migraines. Rarer but more severe headaches include trigeminal neuralgia (a shooting face pain), cluster headache (severe pains that occur together in bouts), and hemicrania continua (a continuous headache on one side of the head). Myofascial trigger points in the muscles of the scalp, jaw, neck, shoulders and upper back cause myofascial pain that leads to a headache. Our Cincinnati office offers a number of approaches to treatment and relief for headaches, including chiropractic, acupuncture, myofascial release and myofascial trigger point injections. We also offer prolotherapy and neural therapy and other treatments.